Electric cars like the Nissan Leaf and Tesla Model S do all they can to look and feel like conventional cars, but breaking free of this homogeneity is the Morgan EV3. 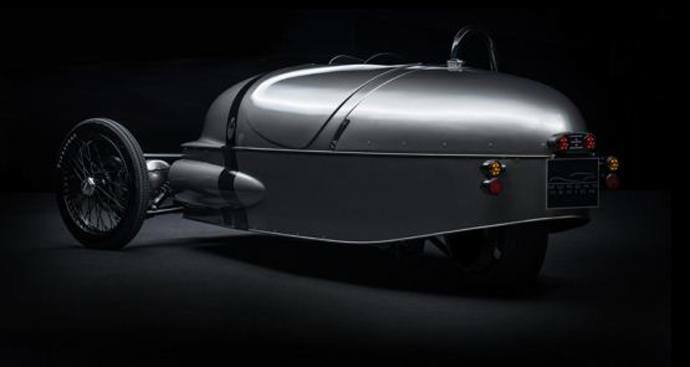 The ash-framed three-wheeler might look like an automotive anachronism, but beneath composite carbon panels lurks a tubular space frame chassis and a liquid cooled 46kW motor driving the rear wheel. Weighing less than 500kg, the all-electric three-wheeler has a top speed of 90 mph and a range of 150 miles. Our favourite design feature is the distinctive brass conductive cooling fins, which encase the batteries, and asymmetric headlight layout. The EV3 will go into production towards the end of this year and cost around 2016 and will be priced around £30,000. Most of us rode tricycles when we were kids, but these humble vehicles could dramatically improve the way we travel today as adults. If we valued clean air, safe streets, health and vitality above effortless personal mobility – or if petrol became unaffordable – most would turn to bicycles and human-powered vehicles. Human-powered vehicles (HPVs) make the most of lightweight materials, a recumbent seating position and sleek bodywork to achieve speeds of up to 80 mph, but their focussed design and distinctive appearance means only the earliest of early adopters rides them. The fastest and lightest HPVs might look like futuristic pods, but a new breed of pedal-powered trike has an altogether more stylish and accessible appearance. 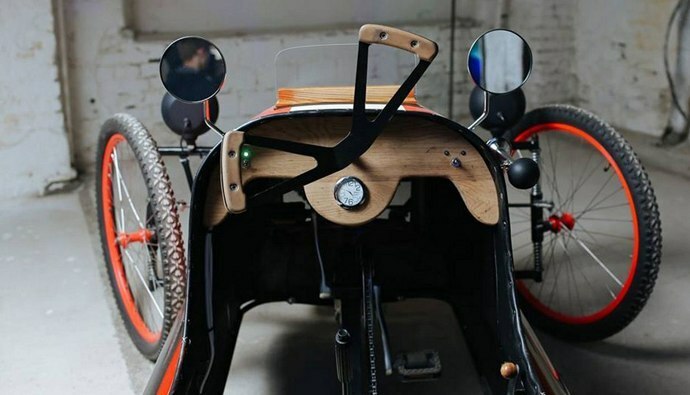 Picar has re-imagined the famous motorised trike built by Morgan for the last century as an electrically assisted trike. Greener still than the Morgan EV, the charming trike makes the ideal commuter. 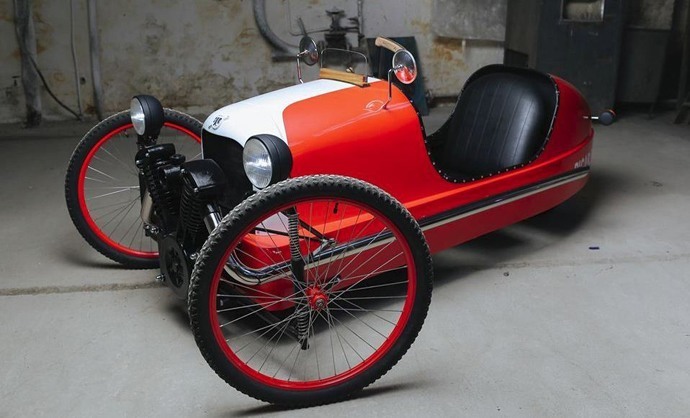 Fitted with 27-inch mountain bike wheels and boosted by a 1 kW electric motor, the retro-inspired three-wheeler can achieve speeds of up to 40 km/h when needed.